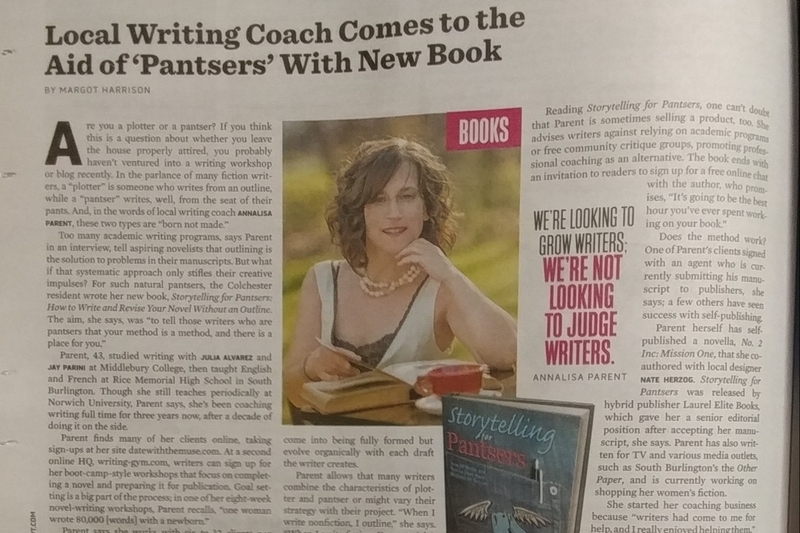 We are so proud to announce that League of Vermont Writers Board Member and Writing Coach, Annalisa Parent, was recently featured in a full-page article in the December 20th edition of SEVEN DAYS. The article appeared in the “State of the Arts” section. Take a look! 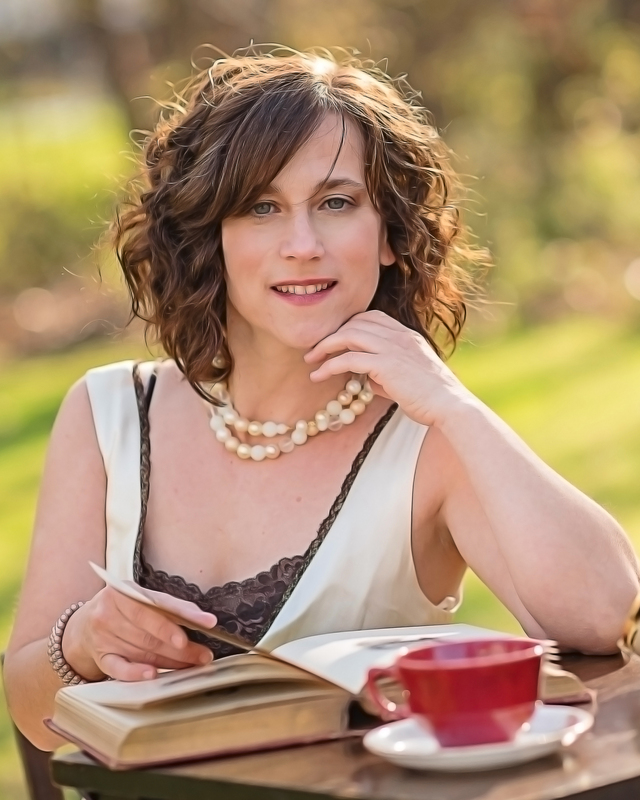 Annalisa coaches writers from all over the world who are looking to finish a novel to industry standards, and traditionally publish it. 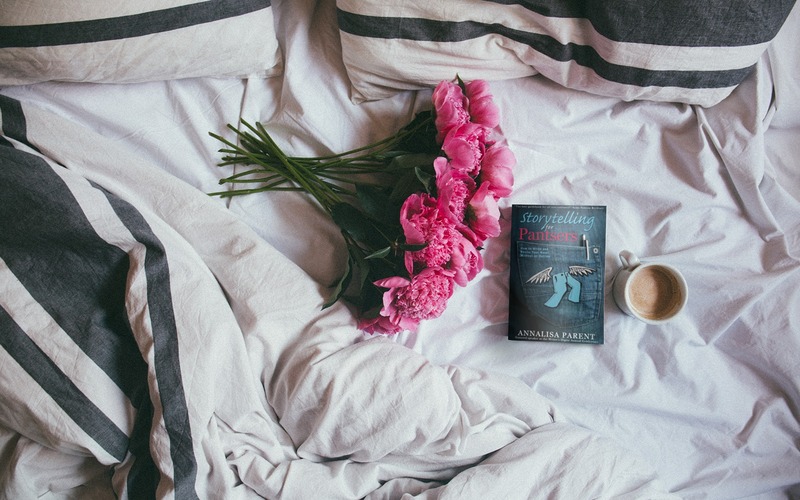 She speaks with professionals in the publishing industry weekly to get the latest information to her clients, and helps accelerate their progress. Her book STORYTELLING FOR PANSTERS: HOW TO WRITE AND REVISE YOUR NOVEL WITHOUT AN OUTLINE was released on October 1, 2017. Her next fiction retreat will be held in England and includes a literary tour of London and a walk along Coleridge Way, where Coleridge found inspiration for his poetry. Email annalisa@datewiththemuse.com for more information. The cover photo for this post was taken by Ron Pentowski.